KIEV, Ukraine -- Ukraine won't sell its gas network to Russian state-controlled energy giant Gazprom, Ukraine's deputy foreign minister said. "Nothing is for sale in Ukraine," Kostiantyn Yeliseyev, Ukraine's deputy foreign minister, said in an interview with the Euractiv news Web site. "Our gas transport system was, is and will be the property of the Ukrainian state." He added, however: "If we will declare that every part is our property and nobody can be involved, then our gas transport system will become outdated. We need business projects, so let's look at what we can do." Ukraine is a key energy transit country for the European Union. Nearly 80 percent of Russian gas exports to Europe are sent through Ukraine, satisfying one-fifth of the continent's demand. In the past years, gas conflicts between Russia and Ukraine temporarily halted supplies to Europe, damaging Kiev's reputation as a reliable transit country. Ukraine's new President Viktor Yanukovych is willing to modernize the gas sector, but he does not have the money for it. Ukraine's economy is in shambles and the national budget overstretched. The EU is willing to help but only if Ukraine increases market transparency, privatizes state-owned utility Naftogaz (which owns the gas grid) and raises gas prices for domestic consumers to avoid inefficiencies. While Ukraine needs Western companies' investments in its gas sector, Yanukovych also has to please Russia to keep gas import bills affordable. A Ukrainian decision by the previous government to modernize the domestic gas sector exclusively with the European Union angered Moscow. Yanukovych has previously indicated he might hand the Ukrainian gas network to a consortium comprised of Ukrainian transit companies, Russian state-controlled energy giant Gazprom and Western European energy companies to safeguard Ukraine's role as a key transit country. While the much-discussed plan has not yet materialized, Ukrainian officials said recently that a meeting between Ukrainian, EU and Russian officials is planned to take place April 22. Observers say Ukraine needs to open up the gas sector to foreign investors or risk an unstable network that is unable to supply Europe. 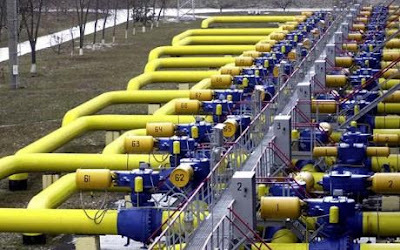 Yet even without privatization of the gas sector, Ukraine can draw upon a $1.7 billion loan package from the European Investment Bank, the World Bank and the European Bank for Reconstruction and Development to modernize the Ukrainian transit infrastructure, Yeliseyev said. "We are speaking, for example, about projects to modernize or replace outdated compressor stations that are causing a loss of some 2 million cubic meters of gas every year," he told Euractiv. He added that the Ukrainian gas transit system was the only one in the territory of the former Soviet Union not owned by Gazprom. "It is evident that Ukraine's gas transit system is a very important factor in gas supply security for European consumers," he said.